Today on Westminister Bridge people from all backgrounds, from all parts of the UK have sat down together in unity to save our National Health Service. Who would have ever thought that any Govt could dare touch our treasure. Our NHS. The mere mention of its name instills a British Pride. The NHS is a revolutionary idea. A health system which puts people first and not profit. A progressive, a modern society is one which puts the patients first. Yet the Health and Social Care Reform Bill, that this coaltion Tory led govt is imposing is going to take away that revolutionary ideal, that progressive ideal ,that modernism. It will take us backward. It will introduce market forces, it will introduce competition. People will become valued not by their worth as a person , but what are they worth in monetry value . You cannot ever put a price on a person. Yet with this Health and Social Care Bill a price will be put on a person. He or she will be subject to market forces, hospitals will be allowed to fail . Is this the progressive society , is this what the British people want. The NHS is personal for my family . Not only has it saved my mother twice, not only were my children born in the NHS hospitals but there is one story in our family that is a reason I will fight to save the NHS . In 1939 my Uncle was 18 months old . He was my gran and grandad’s first child. One day he was with my great grandmother and my grandad. He slipped , as often toddlers do and touched the edge of an open fire grate, in the 30s coal fires were common . His arm was burned. My grandad brought him home, but because my gran and grandad were poor. They could not afford a Doctor. In 1939 , you had to pay your local GP. I think it was a crown. Instead , they cared for him at home. Yet within a matter of a few days he got very ill, they then took him to the local hospital , which was for poor people . He died. My grandad wept , my gran often talked about James , the son they had lost . If James had been born 10 years later, he would have survived. My grandparents would have taken him to their Dr or local hospital straightaway . My gran loved the NHS , she knew a time before we had this wonderful health system . She would be horrified and disgusted to think that the NHS would be dismantled, that market forces would get their grip. In the memory of my Uncle James and all who died before our NHS was born, I will fight for a system that has saved millions of lives and puts the patient first. 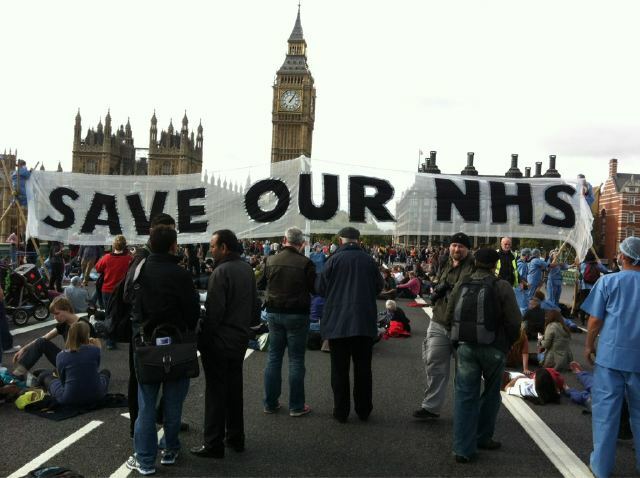 Save the NHS . Lobby your Peer, tell everyone you know what is happening.